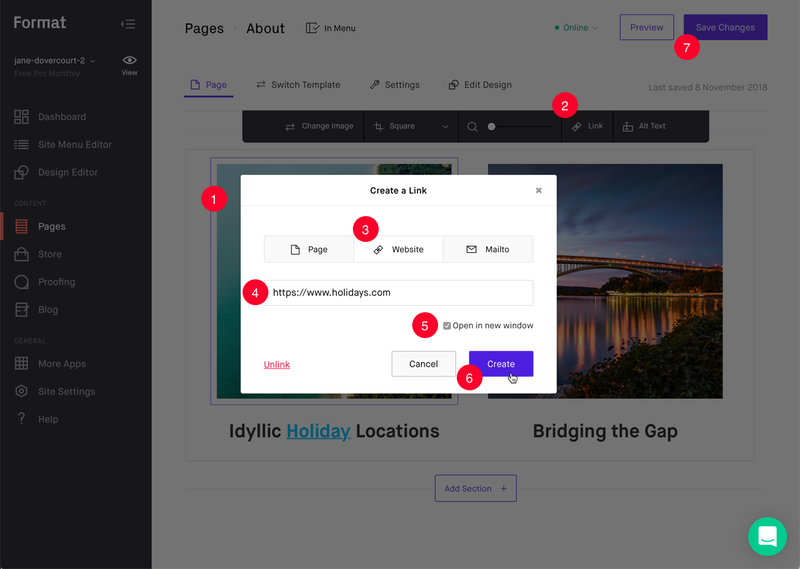 You can set any text or image (except for Gallery Images) to act as a link to an external website or another page within your site. Add the full URL website address (copy-and-paste from the website you are wanting to link to for accuracy). Checkbox allows the website to be opened in a new window (tab). 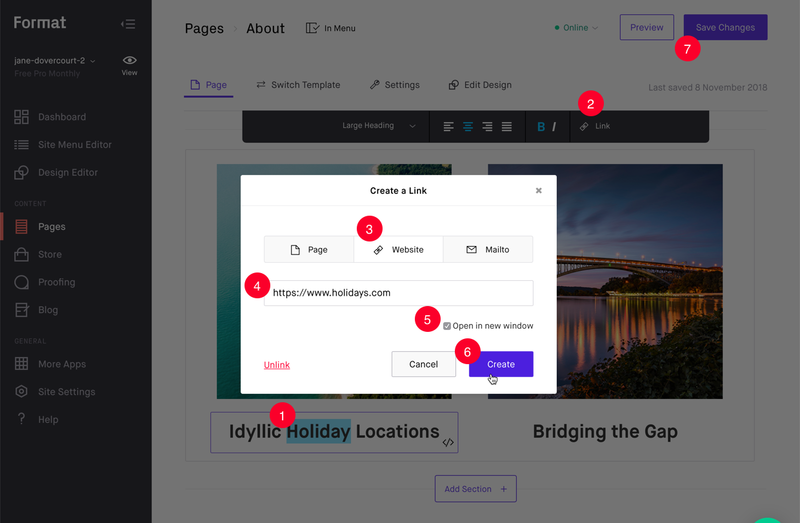 You can use images on a Custom Page to link to another website. It is not possible to link from Gallery Page images. You can also link to an email address. If the viewer has an email application installed on their device it will start a New Message to the address entered. We have a more detailed article here. 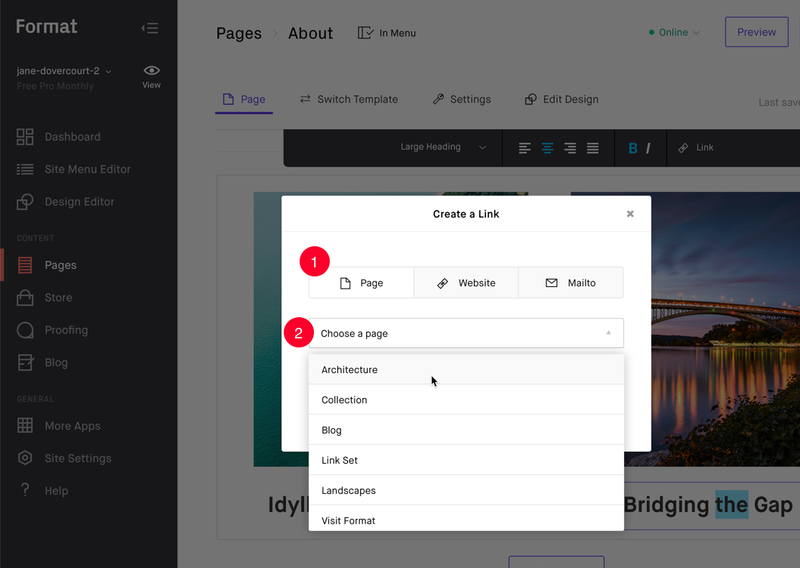 Our Collection Pages allow you to link to Gallery or Custom Pages easily. Please see our Creating a Collection Page guide. 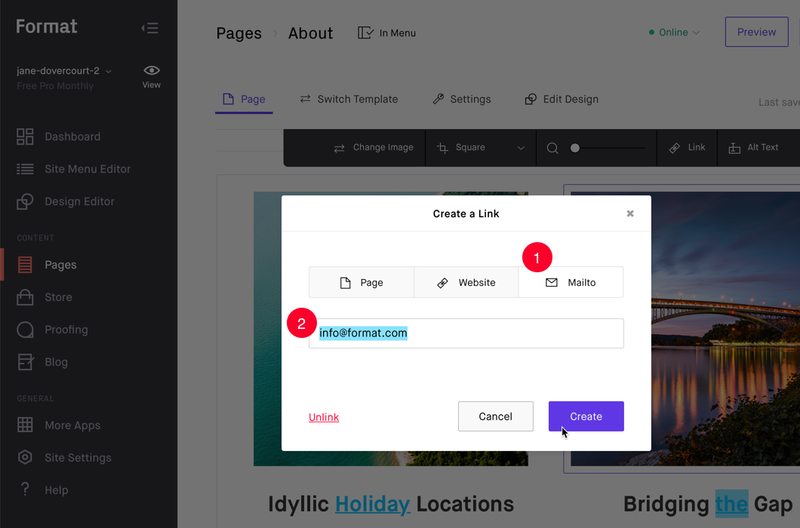 Link Sets can also be added to Custom Pages to quickly set links to multiple pages, internal or external. Please see our Adding Link Sets guide.